I hope everyone had a nice Labor Day weekend. I certainly did. It was our anniversary weekend and we celebrated it in San Diego! I have received some questions about soaking and sprouting nuts and seeds because I have some recipes in my “easy veggie meal plans” that call for soaked and sprouted seeds. Soaking and sprouting is cutting edge but it is also a lost and ancient process that promotes weight loss control, super healing and regenerates the body. I don’t know of any health experts sharing these tips and this wisdom with the world. It truly is a hidden secret to longevity, beauty, and optimum health! Soaking seeds is very easy to do and easy to prepare. If you’re like me, this is great because I do not like to spend time cooking, so soaking seeds is much quicker. All it takes is the time to grab a container, fill it with seeds, add water and that’s it! Let them soak, rinse approximately once or twice a day and you are ready to mix them with your favorite fruits or veggies and spices. Ok, so by now you’re asking, “Why in the world would you want to do such a thing like soak nuts and seeds?” It seems strange and out of the ordinary, but I never claimed to be typical! Who wants to be normal and get normal, ordinary results in life? Not me! There are wonderful health benefits to eating sprouted seeds, nuts and legumes. So let me explain the difference between eating raw vs. soaked seeds as this can be confusing. When seeds are raw they are in a dormant state and contain enzyme inhibitors. For example in the desert, seeds can last for 3, 5, or 10+ years or longer without breaking down. This is a way to protect and preserve them until they make contact with water. When the seeds make contact with water, the seeds release their enzyme inhibitors and they become enzyme active, allowing it to begin the life cycle and sprout into a living plant. It’s ok if you eat raw seeds that are not soaked. However, soaking seeds gives you a whole new level of healthy food. If you are reading this blog, that tells me you value your health and you seek out quality and are one of the few that look to evolve to live the highest quality of life possible. When raw seeds are soaked and sprouted they become enzyme active and these enzymes assist your body in digesting and metabolizing the bio-available nutrients at a cellular level. Enzymes begin to predigest the protein, carbs, and fat in the seeds making it easier for your body to digest them. have so many other health benefits. Don’t under estimate the power of nuts and seeds. Just eat them! When we consume dry raw seeds our bodies must rehydrate them before they can be digested which “robs” your body of vital water and makes it harder for you to digest the seeds. This is also why I don’t recommend eating too much dehydrated fruit. Make sure and drink plenty of water. When you soak seeds, you are rehydrating them making them easier to digest. You can feel if they are easy to digest because your stomach will feel satisfied and light. You won’t feel tired, heavy or groggy after eating like you do when eating other meals. Soaked seeds are more plump, which also makes you feel full sooner, therefore you will not overeat. Fill your container with the seeds of your choice and add water to cover the seeds about 1-2 inches above the seeds. Leave the container, open lid, on your counter to sprout. The seeds need oxygen so if you need to cover the container to keep out bugs, cover with a cloth or paper towel. Seeds need to be rinsed morning and night (every 12 hours) except flax seeds. •	Sunflower seeds- soak only 8-12 hours then pour water out. They are ready to use! You may see the start of a sprout. you can continue sprouting to the point where they have green leaves. In the slightly sprouted stage they contain more protein and in the ful plant sprout stage they contain more carbohydrates (good carbs of course). •	Pumpkin seeds- same as sunflower seeds. You will not see them begin sprouting. •	Almonds- soak for 24 hours. Every 12 hours pour out water and refill with fresh water. I rinse in the morning and at night, this makes it easy to remember. You will not see them sprout. •	Flaxseeds- soak for 4-8 hours and ready to go. The flax seeds soak up all water and become gelatinous (slippery). This is normal. They are packed with extra fiber. Add a tablespoon to your smoothies or breakfast, easy! You won’t see flax seeds sprout unless you sprout them longer. •	Sesame seeds- They are the highest in calcium of all the seeds and nuts. Sesame seeds only need to soak for 4-8 hours. You won’t see sesame seeds sprout. •	Lentils- Soak for 2-3 days. Place ½ cup lentils to 2 cups water in container and let soak for 12 hours. Drain water and rinse with fresh water and pour out water. Keep lentils on counter out of sun light. There should only be a little moisture in the container now. This is all lentils need for sprouting. Rinse 2-3 times per day for several days. They will start to sprout a little tail but I tend to make my dish with them after a max of 2 days. I taste test them to make sure they are crunchy and chewy. Check out my easy lentil recipe. And there you have it! 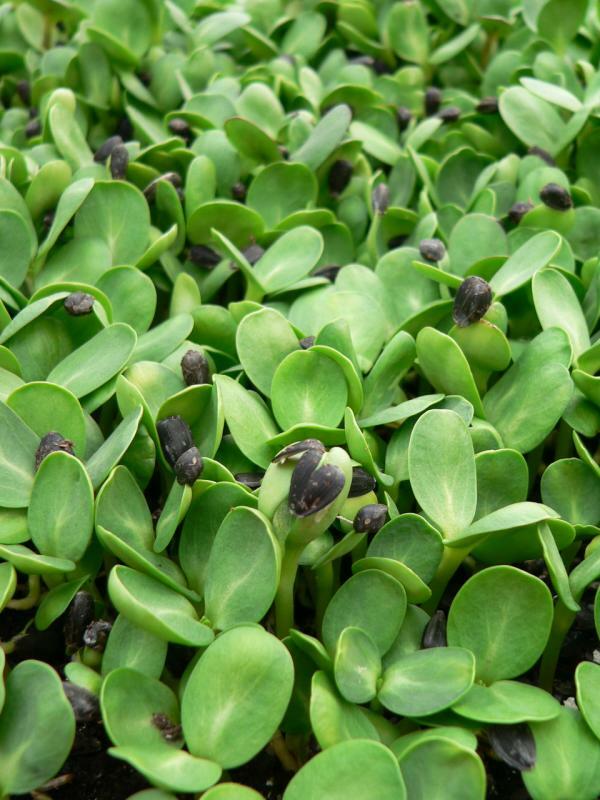 All the information you need on soaking and sprouting…simple, right!? You can even travel with soak ed seeds to make super healthy meals. Like in this video where I traveled to Philadelphia and packed a cooler of yummy treats including soaked almonds. I hope this answers your questions and shows you how easy yet powerful it is to do! Amazing post. I have a question! Are they as nutritionally dense as soaking raw seeds/nuts alone? Since the seeds/nut pieces have been kind of sitting in the ground up more ‘liquid like’ form of itself? If not, are they still more potent/nutritionally dense than just eating nuts/seeds raw right out the bag? Thank you for putting this together! I have a couple questions. Once seeds (other than flax) have soaked long enough do you still store them in fresh water or can you discard the water? Also, how quickly should soaked seeds be used? I’m assuming they have a fairly short shelf life. Thank you again for this blog and for the Easy Veggie Meal Plans program. I’m LOVING it! I have a question. I own an in-home water machine that produces water from 2.5 pH to 11.5. What pH should I use to soak the seeds/nuts? Can I use red beans, pearl barley in addition to other nuts and seeds that you mentioned? I have been eating soaked flax and hemp seeds for breakfast for the last two weeks. I was grinding them in an electric coffee grinder, but I just realised I am not supposed to put wet seeds in the machine. Will a blender grind the seeds enough to get all nutrians? What do you think of hemp seeds? Are they safe to eat, because of the TCH content? Again I really enjoyed your email and found it very informational. I have the same questions as the above emailers. I look forward to your answers. I hope you will keep the information coming as I stated before (in last email) I am new to this way of eating and am doing it a litte bit at time. Thanks for this great information, Kardena. Where do I find your answers to the questions in the coments above? “Incidents of food poisoning have been reported associated with the consumption of raw or undercooked red kidney beans. Symptoms may develop after eating only four raw beans and include nausea, vomiting and abdominal pain followed by diarrhoea. A naturally occurring haemaglutin is responsible for the illness, but can be destroyed by high temperature cooking, making the beans completely safe to eat. FOR THIS REASON, kidney beans must not be sprouted. Kidney beans should be soaked for at least 8 hours in enough cold water to keep them covered. After soaking, drain and rinse the beans, discarding the soaking water. Put them into a pan with cold water to cover and bring to the boil. The beans must now boil for 10 minutes to destroy the toxin. After this the beans should be simmered until cooked (approximately 45-60 minutes) and they should have an even creamy texture throughout – if the centre is still hard and white, they require longer cooking. A while back you mentioned a wrap filled with fresh veggies and a pate made from sunflower seeds and spices, tempeh, or seitan. I didn’t find the pate recipe in the Veggie Meal Plan. Will you post the sunflower seed pate recipe? Thank you so much for the wonderful information!!! I have been moving towards more of a raw diet,for about the past year.I mainly eat raw veggies/fruit/nuts/seeds.I’ve lost 20lbs in the past year because of it! (I’m now back to the same weight I was,131lbs, before I became pregnant with my second daughter,who just turned 4yrs last week).As a child/young adult,I had major stomache troubles.I know now that I am lactose intolerant and that was most likely the cause.I have (almost)completely removed milk/dairy from my diet. (My weakness is black tea,which is where I only use milk now.I do drink green tea as well,but I’m having a hard time letting go of the black tea).Once I stayed away from dairy/breads/pasta/meat,I had no problem losing weight. (I mainly use avocado in place of meat.I eat one everyday!Even my eldest daughter loves them! ).I feel so much better,when I stick to a raw diet.My two young daughter’s (9yrs & 4yrs) and I eat mainly raw vegetarian.It’s my hubby that I mainly have to cook meat for,and honestly,it’s getting harder for me to want to do so,the more I get into raw foods.I made my hubby a raw pineapple icebox cake for his birthday at the end of August.He,as well as our two young daughter’s, really liked it.I have other recipes to try and look forward to ending my baking of cakes/desserts entirely.Now that I have your vital info on soaking nuts/seeds,my family and I can enjoy even more benefits of eating raw foods!THANK YOU AGAIN! (And thank you as well to Craig Ballantyne,as I found you through him!). Thank you for all the wonderful nutrition information! I started soaking some nuts and seeds today. My question is, what if you want to make a trail mix or granola? If you slowly bake it in the oven or in a dehydrator, are you just killing all the enzymes that you started? Is there any benefit to soaked and then dehydrated nuts and seeds versus just using them raw for such instances? Thank you so much for this great, informative video. it answered so many questions that I have. However I wondered if you could comment on how to store each of the nuts/seeds you listed above, specifically, and for how long each can be stored for. i know you said in a jar, covered in water in the fridge but is it the same for all the nuts/seeds (except flaxseeds) that you keep them covered in water? Also the flaxseeds do you just put a lid on the container after the 4 – 8 hours and store in the fridge for a certain amount of time (if so, how long). Will these things go “off” if left for too long. Do you soak in preparation for a specific meal you plan to cook or do you always just have soaked nuts/seeds on hand to make something spur of the moment. In regards to you taking the almonds to travel you didn’t mention what you do with the jar once you reach your destination. Do you add water and put in the fridge or just put the drained jar in the fridge and do you carry it in a cold pack on the plane. I would be really interested to know where you learnt how to do this. maybe you could direct us to a webpage where all this info is held if it is easier, or did you learn by trial and error. Thanks again and have a great day. looking forward to upcoming videos. Great video, answered so many questions I had. Could you please comment on specific storing of each of the abovementioned nuts and seeds, ie way to store and for how long each will keep for. Also, you didn’t mention what you would do with the soaked almonds once you arrive at your destination? Do you refill the container with water and store in the fridge or do you just store in the fridge without water or do you only take enough for the trip itself. Can you store them without water and without refridgeration or will they go off. Also do you have to keep replacing the storing water and how often and do you have to rinse a final time before eating. Thanks in advance for your answers and i look forward to future informative videos. i had another question. Does grinding flaxseeds, almonds etc remove the enzyme inhibitors? It would be too hard to grind or process soaked nuts or seeds so i am wondering how these are digested by our bodies. I have heard that with flaxseeds it is better to grind yourself rather than but already ground ones as in LSA as once they are ground the oils are relaesed and they can go rancid quickly. This would be a crunchier way to eat flaxseeds than soaking. I’ve also heard that grinding almonds for example, breaks down the enzyme inhibitors making it not as bad as eating raw. Do you get as much nutritents by grinding as with soaking? Your opinion or advice would be appreciated. thank you. P.S. Sorry if you are getting multiple comments from me but I put one in and nothing came up so i’m not sure if they are coming through. Good question about the flax seeds. Grinding seeds and nuts is a physical process and soaking seeds is a chemical process. releasing enzyme inhibitors can only happen when you soak seeds and nuts. Grinding them has no effect on this. So I would soak the seeds, then grind them up especially flax seeds. Yes flax seeds oxidize quickly after they are ground so it is better to grind them yourself.Once you grind seeds you want to use within a reasonable amount of time and seal in a container to keep fresh and store in the refrigerator. nice tips, thanks. question, i am allergic to almonds and soya beans, what wound you recomend. thanks a mil, bye. There are tons of seeds and nuts you can choose from. sunflowers seeds, pumpkin seeds, chia seeds, radish sprouts, broccoli sprouts, and all sorts of beans. I hope that everyone understands that one must buy food-grade seeds for sprouting, NOT the kind sold for planting (which are coated with chemicals). Thanks about the reminder for a great nutrient source! Thanks for the feedback. About nut butters. The difference between butter, raw unsoaked nuts, and raw nuts is this. nut butters and unsaoked nuts/seeds are basically the same just in different forms. butters sit in their own oil not water. Soaking rehydrates the nuts so they are easier to digest and now saturated with water so your body doesn’t have to rehydrate it robbing your body of water. And saoked seeds become enzyme active which begins the process of converting proteins, carbs and fats to usable energy for sprouting a plant or energy for us! I eat raw butters sometimes, I just try to get more soaked seeds in my diet. Awesome! Glad you are loving it! I appreciate the feedback. Good question- Seeds (besides flax seeds) MUST be stored in water or they mold super fast. Store them in fresh water, put a lid on them and place them in the refrigerator. They will last about 4-7 days. If the water starts to get murky, you can change it to keep them fresh longer. They will smell if they are starting to turn bad. Good question. Between 6.5-7.5 pH will work great. Flax is chalk full of fiber so it will really move the bowels if you know what I mean. This is a great thing! I do the same thing with my grinder. So far the seal under the grinder blade has prevented moisture from getting in to the machine. You may want to keep doing it. Just wipe it out with a moist towel after wards. You are very welcome. Come back to the blog post and you will see my comments underneath the questions. They are made public. Can one soak raw cashews & macadamias? In fact all nuts? I love these and really want some variety in my nuts, not just almonds. Do almonds and walnuts lose color after soaking? Because that is what I experience. from my experience the almonds don’t but not sure about walnuts. Is that an issue if they do? once you soak and sprout flax seeds they usually last about 7 days in the refrigerator. sometimes you will see the little roots coming out of the seeds. They are living and are full of energy. Thanks for making that point. hopefully they are buying sunflower, flax, and almonds and mung beans at the grocery store. but you never know! And yes organic is best. Thanks for the well put together video. (And congrats on the anniversary.) I wonder if you can clear up a couple of things for me. I’ve read that it is only necessary to soak things like almonds for 20 minutes or so to break down the enzyme inhibitors. Is this accurate and is this different to the sprouting (the next step?) you are talking about here? Hey Kardena! First of all thank you for all of your great advice and information it is greatly appreciated!! I recently soaked my last batch of almonds, and I dried then and did everything like you said. However, they went moldy on me. Is it possible I just got a bad batch or can this be prevented. I kept mine in the fridge…was that a bad idea? I would appreciate your insight. When storing in the frig what kind of lid do you use – an air tight lid or the sprouting lid? You can use the sprout lid but you need to use the metal flat mason jar lid underneath the sprout lid so it seals the jar. I would like to soak macadamia nuts. Does it make a difference whether they soak on the counter or in the refrigerator ? Do they get enough oxygen in refrigerator ? Macadamia nuts only need to soak for about 4-6 hours. you can soak them anywhere. Then rinse and store in the frig in water. I have a question which is the same as Cindy’s above. I get that with all the nuts&seed except flax that after the soaking at room temp you have to store them in the fridge, covered in water and covered/sealed and continues to rinse and replace with fresh water every 12h. But I wondered what to do with flax seeds once they’ve finished the soaking process. Can you store them in the fridge covered/sealed and then do you have to rinse them and drain them every 12 hours? Great questions. I want to correct you on one thing. Once you soak seeds/nuts at room temp changing the water every 12 hours, when you store in the frig in fresh water and sealed. You don’t have to change the water every 12 hours. More like every 3-4 days. less maintenance at that point. Now- once you soak flax seeds you will notice they swell up and have a gelatinous film around them. They are very hard to rinse and you don’t have to. once they absorb all the water, you can store in the frig sealed for up to 5-7 days. They are ready to put in smoothies r make crackers or crust. Question, any harm in putting soaked flaxseed into a dough and baking it? I use soaked flaxseed now as an egg replacement in pancakes and such. That’s a great substitute since it has a binding effect like eggs with the added fiber. Great idea! I have been soaking almonds,walnuts,pecans,etc. for the specified time, draining,rinsing,and thoroughly blotting with a clean towel. I then put them into a container and put them into the freezer. Is this acceptable? Or am I destroying any of the enzymes/nutrients by freezing them? It has been very convenient to just grab a handful from the freezer without worrying about the nuts molding or spoiling. That’s great you are soaking them before putting them in the freezer. It is acceptable to put them in the freezer. You will loss very little nutrient value from freezing. Sharon that’s a fantastic idea! How long will these stay fresh before the nut and seed oils become rancid? Do I need to store dehydrated chips and bread in the fridge? Will the enzymes survive the dehydrating? What about the freezer? Nut cheese and dehydrated breads are 2 different animals. because nut cheese stays moist, you need to refrigerate it and will last typically 3-5 days in the frig in a sealed container. Since water is present in the cheese, it has a faster expiration date. There’s no concern about these oils going bad, there’s not enough time. Now when you are talking about breads and crackers, since they are dehydrated, they have a longer shelf life. What I would do is once you make them put them in a sealed container or bag. you can put in a dry cupboard or in the frig, it’s up to you. Nuts over all take a while to become rancid but I wouldn’t keep them longer than 1 month. If they gather moisture then they will get stale. Check out my flourless hoilday cranberry scones, you can make in your dehydrator! I think you’ll really like them!